Home Unlabelled What will procurement look like in 2015? The current generation of procurement officers are being viewed as pseudo-investigators. Achieving holistic, transparent inventory management is a goal many enterprises, particularly those in the retail industry, will strive to attain. The Internet of Things and analytics tools enables supply chain experts to develop more accurate demand forecasts, quickly liquidate returns and adjust tactical strategies in the blink of an eye. Procurement teams will become more acquainted with other departments. Each team has its own needs, and developing an understanding of what those necessities are will help purchasing officers acquire materials and services with regard to what an organization requires as a whole. Real-time performance monitoring will become a regular practice. Being able to look at a vast chart displaying how each supplier and partner is contributing to the success of a business is a capability of the near future. This will enable professionals to not only identify problem areas, but figure out how and why issues are occurring in particular sectors. Acknowledging a dilemma is one thing, being able to zero in on the root cause is another. Trusted partners will become suppliers. As it's a "who you know" world, it makes sense that companies will be looking to build economic relationships with enterprises they have conducted transactions with in the past. This trend will be driven by pre-established connections among professionals. Furthermore, Rizza noted businesses will be more likely to plan meetings between prospective suppliers and research and development teams to collaboratively figure out ways in which operations can be improved. Sourcing from Latin America and Asia Pacific will increase. These two markets are home to some of the world's most esteemed burgeoning economies. As investment ramps up in these regions, organizations will look to throw support behind fledgling manufacturers with a lot of potential. In turn, this will have an impact on the supply chain. Rail transportation between Latin America and North America is due to increase if this trend persists. Each of the aforementioned trends pertains to a competitive advantage. 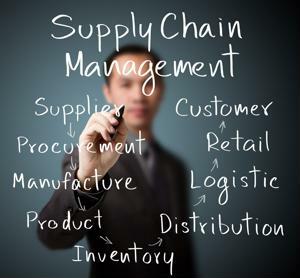 If Supplier A can develop higher quality goods at a minimal markup while Supplier B fabricates products of average condition, then contracting the former company is more beneficial because it's worth it for organizations to pay a little more for superior materials. Product quality is just one facet of a successful supplier relationship. Profitable connections depend on how efficiently products can be delivered and whether those goods are being produced with ethical practices in mind. Above all, the chief reason why procurement behavior will encounter a shift in 2015 is that outsourcing is such a popular practice. Sigi Osagie, a contributor to Procurement Leaders, noted the Internet, the jet engine and decreasing telecommunications expenses have spawned a global economy that, now more than ever, favors holistic oversight and better shareholder returns. Deducing which relationships will support these goals is a responsibility that lies with purchasing departments. Since I am procurement specialist for project envioronment, I believe that in 2015 the procurement commercial will get greater attention in back to back condition and the reliable suppliers will get more preference over other because of overall cost reduction with reliable suppliers. Sigi Osagie is so right in what he says. I have read a number of his articles before and yet again the Procurement Leaders one was very good. I plan to also buy his new book "Procurement Mojo" which everyone seems to say is great - I recently read a review by Spend Matters that said it was excellent. We need some new perspectives like this on how we do procurement for the future.